The Intaglio Technique according to Wikipedia refers to a number of techniques in art, applied to many different materials, which all have in common that the image is created by cutting, carving or engraving into a flat surface, as opposed to a relief, where the image is what is left when the background has been cut away to leave the image above the background. ” I find this technique particularly appealing because it makes it possible to get extra mileage out of the supplies I already have. Plus the style does not limit its use. The sentiments in these cards are about the holidays, but it could just as easily be for a birthday or an anniversary. 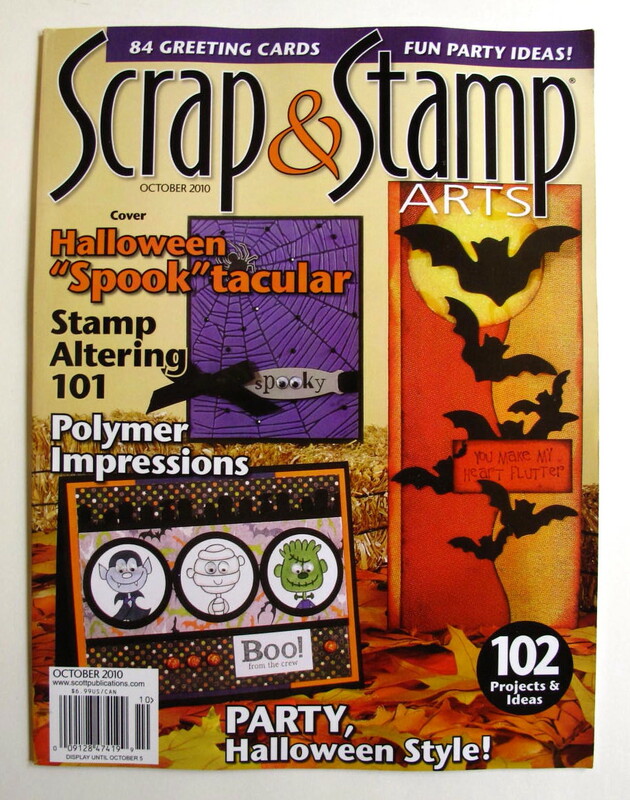 This project appears in the October 2010 issue of Scrap & Stamp Arts.